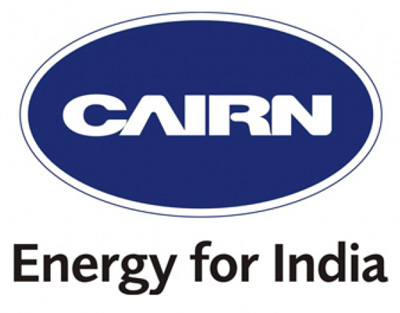 New Delhi: Cairn India Ltd has said it will invest USD 200 million over the next three years in developing natural gas finds in the largely oil-bearing Rajasthan block. The USD 200 million investment during FY2015-17 will be towards developing existing Raageshwari Deep Gas field and associated field facilities and pipeline, Cairn said in its 2013-14 annual report. "Leveraging the gas potential of the Rajasthan block is a priority for Cairn India," Chairman Navin Agarwal said in the report. Cairn which in January 2004 began the Rajasthan success story with discovery of Mangala field - the largest onshore oil find in India in the last two decades, has till date made 31 discoveries in the Barmer basin block. In March last year, it started gas production from the block, with a cumulative sale of 2.7 billion standard cubic feet in 2013-14 fiscal. It however estimates a higher gas potential in the block and is building facilities that can handle up to 100 million standard cubic feet per day (mmscfd) of output. Cairn produced an average of 7 mmscfd in 2013-14, the report said. "With the addition of higher capacity rigs in the drilling program, Cairn India is drilling two high impact prospects to test potential gas accumulation in the deeper sections. The initial results obtained are encouraging and testing is underway," it said. As on March 31, 2014, Rajasthan block has estimated in-place resources of about 4.6 billion barrel barrels of oil and oil equivalent gas. The prolific MBA oil fields, which are currently on production, hold 2.2 billion barrels of resources. It estimated a resource base of about 71 million barrels of oil equivalent in the Raageshwari Deep Gas field but the block may hold larger reserves. Mangala, the largest of the oil and gas finds Cairn has made in the Barmer dessert block, was put into production in August-end 2009 and is currently producing about 120,000 barrels per day. Bhagyam, the second biggest find in the area, began producing in 2012 and is currently doing about 25,000 bpd. Aishwariya oilfield, third of the famous MBA (Mangala-Bhagyam-Aishwariya) discoveries in the block, is at about 25,000 bpd.